Hi I'm Barbara Upton and I am the Practice Manager. 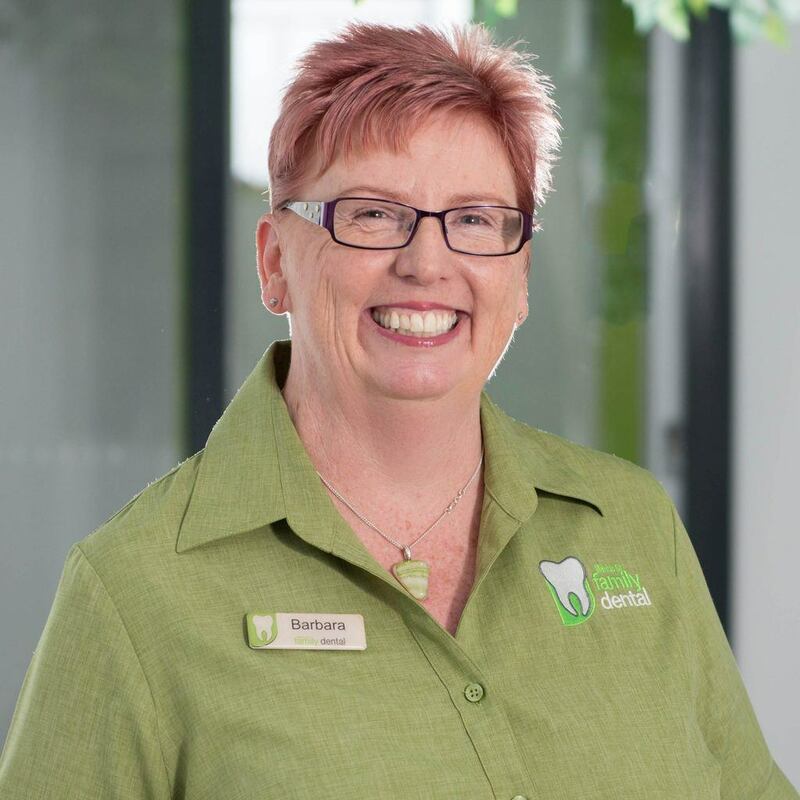 I have been part of the team at Marius Street Family Dental since 2011. I am a mum of three, and before working here, I was a small business owner for many years and so understand the challenges that we all face juggling busy schedules and amongst that, our finances. My main role is to help you with any queries that you may have about your personalised lifetime treatment plan, especially financial ones. I love the challenge of breaking down seemingly unachievable dental goals into achievable ones. I can also help you to decipher your plan; just don't ask me too much detail about the technical parts of dentistry! Why not make the call today and speak to one of our friendly reception staff!